Owning high quality boat shoes that do not lose their color or shape and provide maximum grip on wet decks are very desirable. Many people choose to wear boat shoes on a daily basis and there is a wide range of styles available. The best boat shoes are the Sebago Docksides Shoes that are available for both men and women in a range of colors with molded EVA foam insole and moc-toe stitching. Features such as non-slip and non-marking rubber are essential for those walking on decks while sailing and out on the boat. Not to mention withstanding harsh marine environments as many cheap boat shoes will disintegrate due to salt water. Boat shoes for men and women are very popular due to their strong grip and there classy style in the marine environment. Many people refuse to pay the inflated prices but this is because they do not understand the attention to detail that goes into the shoes such as the stitching. As boat shoes are used on wet decks, features such as superior grip on wet surfaces, fast drying material and comfort are high priority. Investing into a higher quality pair of boat shoes is a worthwhile investment and be usable for years. Everyone has their own preference in terms of styling but there is a large selection available. Below is a list of the best boat shoes that offer excellent grip on wet decks and comfort. Sebago are one of the best boat shoe brands that are available worldwide and have a reputation for excellent build quality. The Docksides are leather boat shoes with a rubber sole and molded EVA foam insole. The Sebago Docksides are available for both men and women with a total of 23 colors and a wide selection of sizes. The construction of the Sebago boat shoes feature a moc-toe stitching and around the collar rawhide lacing for superior quality. The EVA foam ensure that the shoes are comfortable and can be worn with or without socks. The upper and interior lining are made using Sebago’s heavy duty leather and the rawhide laces prevent the shoe from breaking apart. For those looking for boat shoes for sailing, the rubber is non-slip and non-marking qualities, which is ideal. The Sebago Docksides are the best boat shoes to buy and they really are shoes that can be worn for every situation from casual, formal and of course, wet environments such as boating. If the Docksides style is not standing out to your styling expectations, then the Clovehitch II Oxford is another pair of Sebago boat shoes that is highly rated. The patented strobel constructions provides excellent flexibility and lightweight durability compared to other alternatives. The lacing system of the Clovehitch is made using nickel-free and non-corrosive eyelets for longevity. The upper construction uses nubuck and full grain leather with breathable mesh panels for superior comfort in hot weather. In terms of comfort, it uses a mesh covered removable EVA and full length blown PUB cushioned midsole for shock absorption. As with the Docksides, it has slip-resistant and non marking rubber that provides excellent grip of wet decks. Overall, the Sebago Clovehitch II Oxford are the best boat shoes for comfort and they are excellent for walking on wet surfaces. They are not as formal as the Docksides but some people may prefer this difference. The Sperry Top Slider Boat Shoes are a cheaper alternative to the Sebago’s but maintain the impressive build quality. They have a non-marking rubber outsole with good wet and dry traction, which is great for everyday use. In terms of the features of the Sperry boat shoes, it has a moccasin-stitched toe, rust resistant eyelets, slotted collar and a shock absorbing EVA heel cup. The main issue that people find with the Sebago’s is the expensive price tag. However, this is where the Sperry’s comes in with their reasonable price. They are the best cheap boat shoes that provides excellent grip on wet surfaces and can be used everyday without the worry of expensive repair costs. The Timberland Two Eye Classics are a highly rated boat shoe with the build quality of a major clothing brand. They are a sporty style of shoes with moccasin toe and slotted collar with rawhide lacing and a 3/4 length leather lined EVA footbed for comfort. The Timberland boat shoes are available in 8 different colors and a range of sizes for both men and women. The outsoles are extremely grippy on wet surfaces but they can be used everyday from on the boat to walking around the work office. The styling is very similar to the Sebago Docksides but a more modern and sportier appearance. They are the best casual boat shoes to wear that provide the traction of the wet surfaces. The Lacoste Dreyfus is a combination of sneaker and boat shoe for those wanting a mixture. It is a leather shoe that features a lace-up vamp, slotted collar and perforated quarter with the famous Lacoste logo patch on the side. The Dreyfus style is only available in three different colors but a range of colors. They are very comfortable with or without socks but there is not much breathability, which means ventilation is pretty poor in hot weather. Overall, the Lacoste boat shoes are the best sneaker boat shoes and are perfect for those that do a lot of walking. 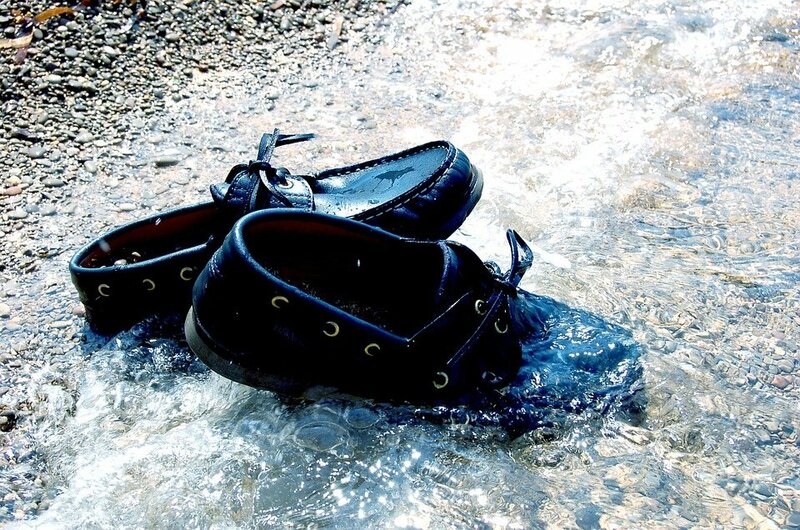 During hot weather where the feet tend to sweat, they may not be as comfortable as the above but they are still top rated boat shoes at a reasonable price. 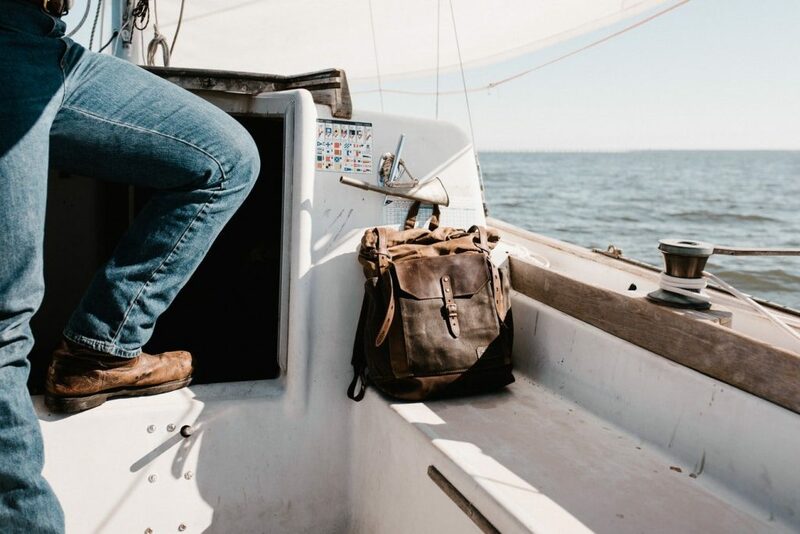 High quality boat shoes are not just a fashion statement but they offer excellent grip on wet surfaces such as a boat deck, pontoon and any damp surfaces. The materials used in the construction are also suited for use within saltwater and they will hold up much better than standard shoes. The inside of the shoe is just as important as many people who will be walking in wet environments will most probably not be wearing socks. This means that the shoes have to be comfortable with and without wearing socks. 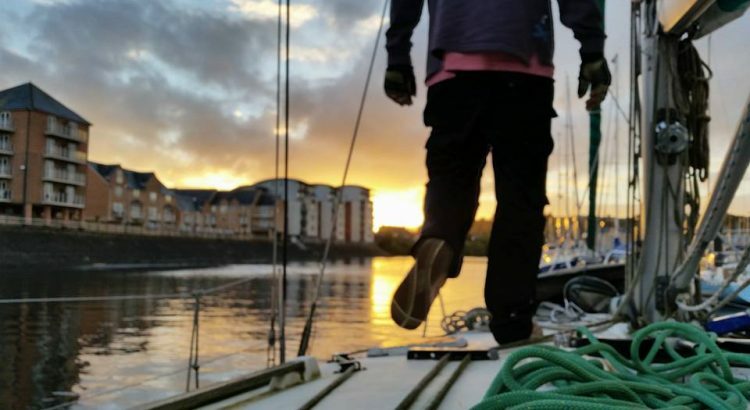 Choosing the correct pair of shoes for boats is hard as the market is fairly saturated with shoes marketed as ideal for boating, however below are some factors that you should consider. Many people choose to wear boat shoes everyday and they can do that just fine. For example, the Sebago boat shoes can be seen as formal, casual and perfect for on the boat all at the same time and for this reason they are very desirable. There are a range of styles from sneakers, loafers, formal and the standard boat shoe look. Choosing between them is purely up to your personal preference but the main purpose is that they perform on wet surfaces and will not break down from damp and salty environments. Boat shoes were designed to be worn without socks as you will get wet feet when standing in water. However, due to many people wearing them casually everyday, they are designed for both with and without socks for comfort. As with any shoes that you buy, you will want to ensure that they last as long as possible. A pair of boat shoes are usually constructed of leather and they will need to be treated with a water based cream on a regular basis to protect the finish. Ensuring that they are not kept in direct sunlight for long periods is highly advisable. The UV rays will crack the leather and laces when the shoes have been in salty waters. The majority of premium boat shoes are treated to resist this but it is better to be safe than sorry. Choosing boat shoes that use high quality materials designed for the marine and wet environment is essential. Performance and fashion are the reason why they are so desirable in the modern era. Breaking them in slowly is also key because you may find yourself with painful blisters otherwise. Wearing them around the house for a few hours here and there before taking them onto the beach is highly recommended. If you intend on going on long walks, you may be best opting for water shoes for hiking, which will avoid any pain on your feet whilst on long hikes. The best Sebago boat shoes mentioned within this article are winners in terms of all rounders. They are highly popular worldwide and even though they are expensive, they offer everything you require in terms of boat shoes.